This summer has arrived so quickly here in Orlando. Our home is now a full time daycare, preschool, and elementary school. I am always looking for activities and outings for my young ladies. Of course, one of the daily to-do lists involves baking. 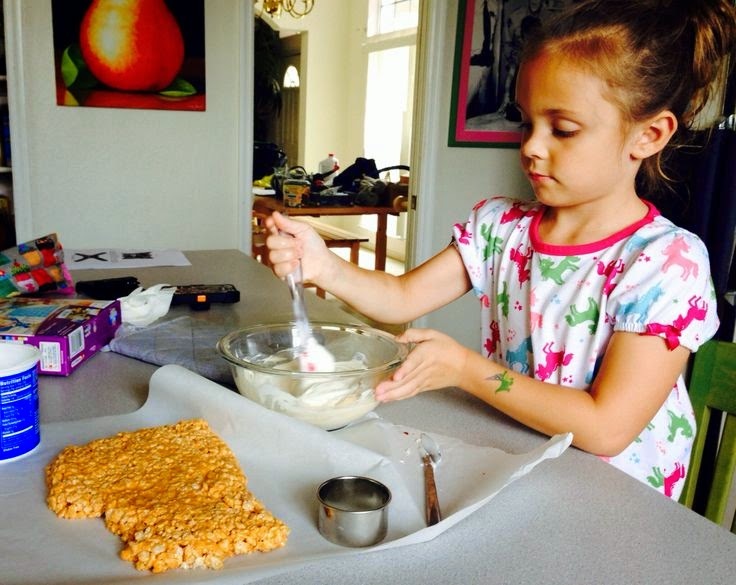 Gracie (my 7 year old) and I have recently discovered the Rice Krispies Creative Kids Contest. This contest must be entered through Pinterest only. The requirements are no more than 10 ingredients from a chosen list provided by Rice Krispies and must include 3 mandatory ingredients of butter, marshmallows, and Rice Krispies cereal. There is still more time to enter here is the official page and rules http://www.ricekrispies.com/treatmaking-contest. My oldest, Gracie, LOVES (more like infatuated) with all things Butterbeer. After her first sip of the slushy, cold concoction at Universal Islands Adventure, she has been requesting every dessert under the sun be turned into a delightful resemblance of Harry Potter’s Butterbeer. 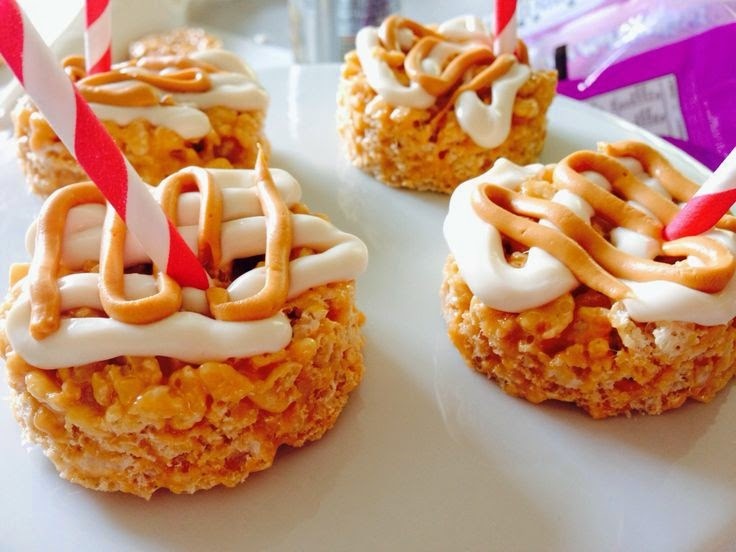 With this in thought, we ventured into the idea of Butterbeer Rice Krispie Bites. How perfectly sweet they should be and tiny as well, so the littlest of fingers could grasp these witty bites. 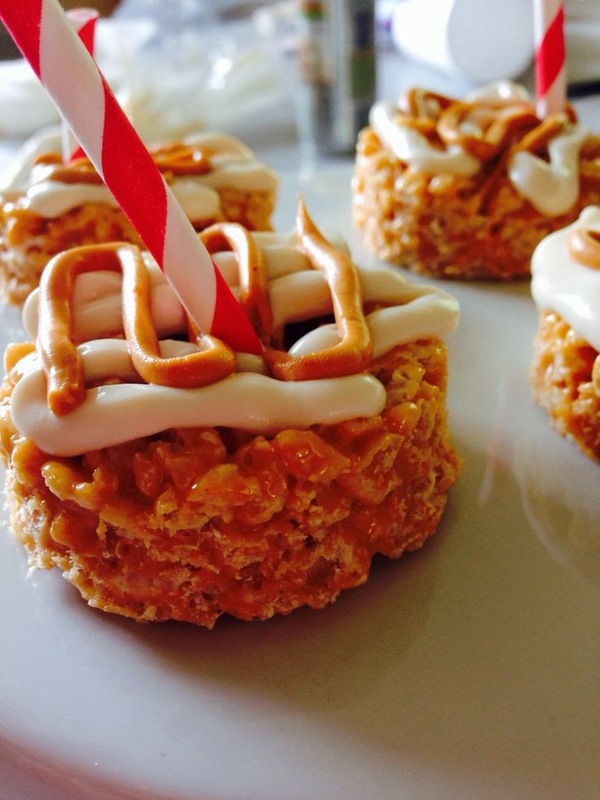 One Saturday morning, in her pajamas and all, we dreamed and created what we call “An Ode To Harry Potter, Butterbeer Rice Krispie Bites”. That night with weary eyes and pure confusion I set up my Pinterest account, ugh it’s a long story but finally done! 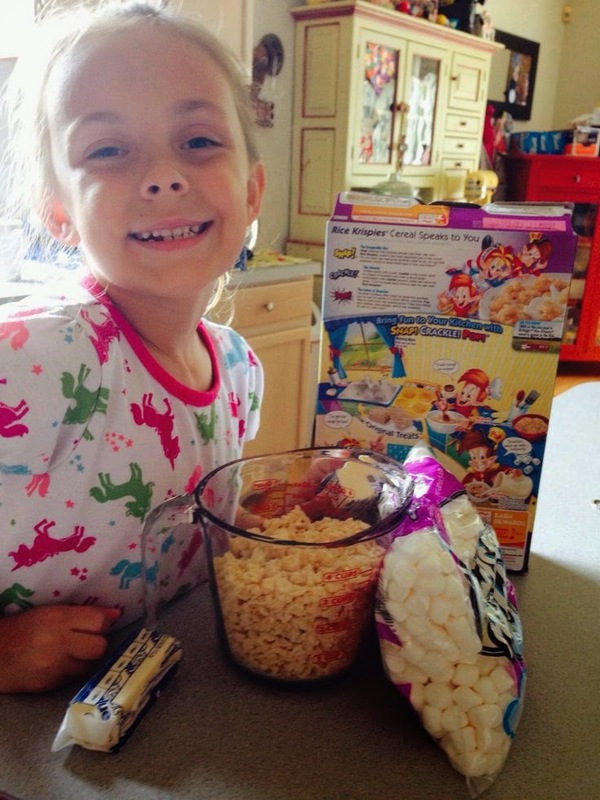 We received an email from Kellogg’s Rice Krispies cereal that WE HAD WON! Woohoo! We are the third round winners for their contest and Gracie gets to receive the 1st place gift basket worth over $460! I must confess, this has lit a huge fire under my mixer. 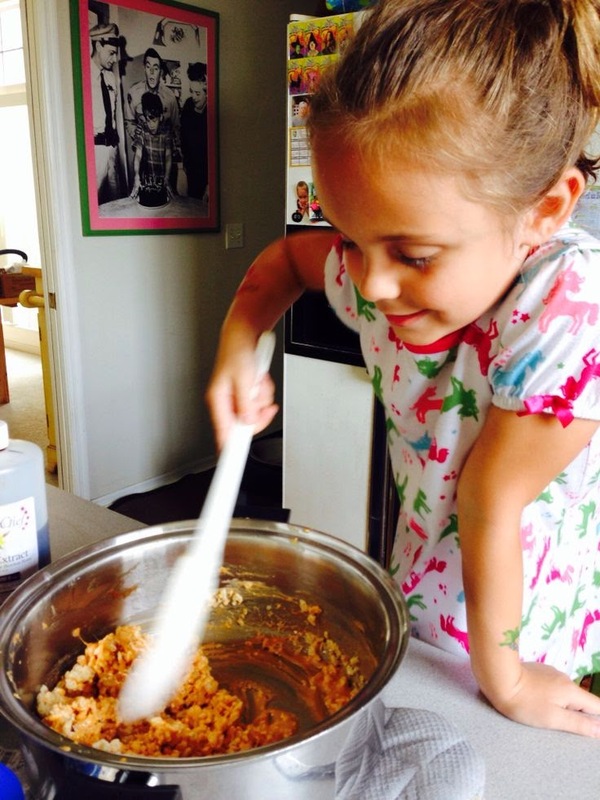 Yes, we will now be entering all sorts of fun baking and recipe contests. I mean, hey, I already bake my heart out daily; why shouldn’t I just write down these awesome recipes and share them with the WHOLE world. 1. In a large pot, melt butter on medium-low heat. 2. Add 1 cup of butterscotch chips and melt until smooth and add the entire bag of marshmallows. until all cereal is covered in the butterscotch mixture. 4. Place on parchment. Flatten to 1/2″ thick, cut circles with 2″ circle cookie cutter. a piping bag and snip of small corner. Pipe a zigzag pattern on each circle. consume all in one sitting.